One of the trusted brands in the personal computer industry, Everex has developed its upcoming Cloudbook, the low-cost Linux-based portable computer intended to compete with the “hot-selling” Asus Eee PC. The Cloudbook tiny laptop is said to incorporate an 7-inch screen display (800×480 resolution), 1.2GHz VIA C7 ultra-low voltage processor, 30GB hard drive and 512MB of RAM, along with gOS Linux which optimized for Google Apps. 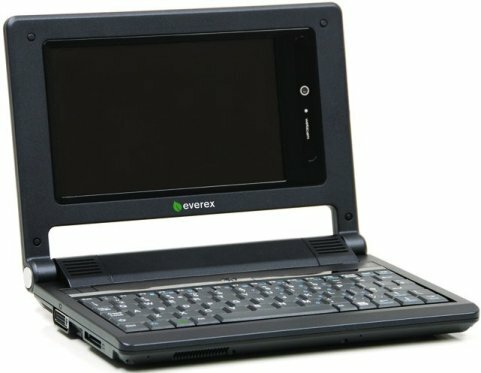 The new Everex Cloudbook portable PC is expected to be available by January 2008 for around $400.